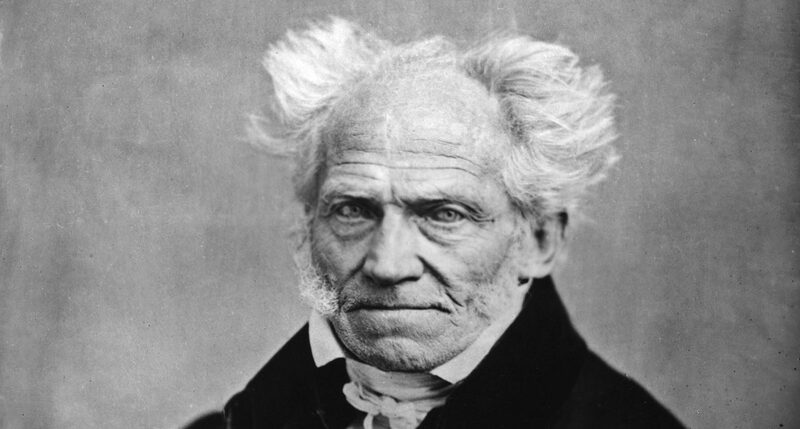 The German philosopher Arthur Schopenhauer wrote extensively on – what he believed to be – the intrinsic misery of existence. Even if you don’t end up agreeing with Schopenhauer’s pessimistic worldview, reading some of his writings on the human condition is still a reliable way to dampen your mood. As I will elaborate in this discussion, Schopenhauer’s pessimism does hold merit and weight, but his bleak view of the human condition can also be countered if we compare how telic and atelic activities affect our happiness. Before examining these concepts, though, let’s take a look at Schopenhauer’s pessimism in more depth. It should be emphasised, first of all, that Schopenhauer’s pessimistic philosophy is not necessarily a fringe or extreme perspective. In fact, it is heavily influenced by Buddhist philosophy, which teaches that “life is dukkha”, meaning that life is defined by unsatisfactoriness and suffering (this is known as the First Noble Truth of Buddhism). Schopenhauer, too, postulated that suffering lies at the heart of existence. But he does take the painful nature of living a step further than the Buddhists by claiming that life is futile and – on the whole – a cosmic error, something better never to have been. Similar to Buddhist philosophy, Schopenhauer does offer some solutions to the problem of dukkha. In his metaphysics, he defines the Will as a fundamental aspect of nature. It is the driving force of life. Every living being has a ‘will to life’ (a term coined by Schopenhauer) at its core. But this will to life results in all sorts of suffering. Likewise, Buddhism states that our suffering is a consequence of desire or craving (the Second Noble Truth of Buddhism). The Buddhist solution to dukkha is the extinguishing of craving by means of the Noble Eightfold Path, which involves a disciplined alignment of one’s thoughts and actions with certain Buddhist values and beliefs. We can juxtapose the Noble Eightfold Path with Schopenhauer’s philosophy, which advocates art and asceticism (rigorous self-denial, particularly abstinence from worldly pleasures) as ways to escape the suffering caused by willing. Yet an increased interest in aesthetics, along with a monkish lifestyle, may not necessarily be a strong enough antidote to Schopenhauer’s pessimistic worldview. Much of Schopenhauer’s gloomy outlook can be attributed to his focus on desires, wants, and goals. He underlines that life is like a pendulum that swings between suffering (unfulfilled desires) and boredom (the lack of desire after the fleeting satisfaction of a fulfilled desire). According to both Buddhism and Schopenhauer, dissatisfaction defines the human condition. However, it is possible to respond to Schopenhauer’s pessimism by emphasising the importance of activities that aren’t goal-directed. These are known as atelic activities. Telic activities, in contrast, are those that have an endpoint. Atelic activities can make life more bearable than Schopenhauer would have us believe. But before delving into this argument, let’s highlight some of Schopenhauer’s views on human suffering since they seem to centre on telic activities. The will has no overall purpose, aims at no highest good, and can never be satisfied. Although it is our essence, it strikes us as an alien agency within, striving for life and procreation blindly, mediated only secondarily by consciousness. Instinctive sexuality is at our core, interfering constantly with the life of the intellect. To be an individual expression of this will is to lead a life of continual desire, deficiency, and suffering. Pleasure or satisfaction exists only relative to a felt lack; it is negative, merely the cessation of an episode of striving or suffering, and has no value of itself. Nothing we can achieve by conscious act of will alters the will to life within us. There is no free will. Human actions, as part of the natural order, are determined [….] As individual parts of the empirical world we are ineluctably pushed through life by a force inside us which is not of our choosing, which gives rise to needs and desires we can never fully satisfy, and is without ultimate purpose. Schopenhauer concludes that it would have been better not to exist—and that the world itself is something whose existence we should deplore rather than celebrate. Every satisfaction he attains lays the seeds of some new desire, so that there is no end to the wishes of each individual will. Hunger, thirst, and lust are immutable and unquenchable. But it’s not just base desires that Schopenhauer’s pessimism pertains to. Desires also take the form of our projects and goals. Personal ambition and the drive to succeed can, like hunger, be satisfied by in one instance, only to be replaced by another target. Dissatisfaction does and must pervade life. There are moments, perhaps even periods, of satisfaction, but they occur against a background of dissatisfied striving. Pollyannaism may cause most people to blur out this background, but it remains there. Pollyannaism – also known as the positivity bias – refers to the psychological tendency to look at the past with rose-tinted glasses. It describes an optimistic interpretation of your life, events, and the world at large in a way that is inaccurate. There is a large body of research showing that people, in general, look at the past and future more favourably than is justified. Nonetheless, we can also fall into the trap of being overly-pessimistic, which is known as the negativity bias. This involves negative events and experiences affecting our psychological state more intensely than their positive counterparts. The world may seem worse than it actually is because we are hardwired to be more sensitive to unpleasant news. Which makes evolutionary sense. The tendency to focus more on the negative than the positive would have aided the survival of our ancestors, even if this entailed pessimistic and anxious states of mind. We are all susceptible to both the positivity and negativity biases. It is incredibly difficult to overcome these tendencies and look at the world in a balanced and accurate manner. So we should question whether philosophical pessimists – such as Schopenhauer and Benatar – are unbiased in their outlook. 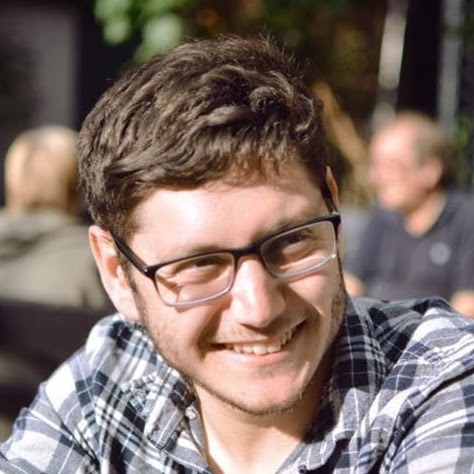 For example, Kieran Setiya, a philosophy at MIT, has argued that Schopenhauer discounts the importance of atelic activities in his appraisal of the human condition. When you invest all your efforts, focus, and energy into telic activities, then it makes sense that continual dissatisfaction will follow. Atelic activities, in contrast, don’t share the quality of striving and hunger that we can attribute to telic activities. Thus, by placing a higher value on atelic activities, it may be possible to avoid the despair and entrapment that Schopenhauer communicates in his philosophy. Setiya decided to write about the midlife crisis (in a book titled Midlife: A Philosophical Guide) after experiencing one himself. Even though Setiya was a successful philosopher and author, he wasn’t satisfied with his life. He said he felt “a disconcerting mixture of nostalgia, regret, claustrophobia, emptiness, and fear” and when thinking about the future he saw only “a projected sequence of accomplishments stretching through the future to retirement, decline, and death.” The midlife crisis is, for many people, the Schopenhauerian worldview made personal and visceral. It seems to afflict the high-achievers, those obsessed with projects, always placing satisfaction in some future scenario. When you reach the midpoint in your life, you may have achieved many of your long-term goals and projects, particularly in terms of your career, success, achievements, recognition, family life, romantic relationship, wealth, possessions, and lifestyle. And if (or when) these aspects of your life fail to bring you lasting happiness, you may start to feel that life really is pointless. Why bother trying to ‘make it’ if you still feel empty inside? In trying to resolve this tricky conundrum, Setiya turned to Schopenhauer’s pessimism. He wanted to find a way to resolve his (and others’) midlife crisis by pointing out what was wrong with Schopenhauer’s exposition of the human condition. Almost anything we call a ‘project’ will be telic: buying a house, starting a family, earning a promotion, getting a job. These are all things one can finish or complete. not all activities are like this [telic]. Some do not aim at a point of termination or exhaustion: a final state in which they have been achieved and there is nothing more to do. For instance,… you can go for a walk with no particular destination. Going for a walk is an ‘atelic’ activity. The same is true of hanging out with friends or family, of studying philosophy, of living a decent life. You can stop doing these things and you eventually will, but you cannot complete them in the relevant sense…. they do not have a telic character. If you are going for a walk, hanging out with friends, studying philosophy, or living a decent life, you are not on the way to achieving your end. You are already there. invest… more deeply in atelic ends. Among the activities that matter most to you, the ones that give meaning to your life, must be activities that have no terminal point. Since they cannot be completed, your engagement with atelic ends will not exhaust or destroy them. Atelic activities could also include the creation and appreciation of art, playing and listening to music, reading, writing, storytelling, and travelling. In proposing this solution to the midlife crisis, Setiya doesn’t mean you should only pursue atelic activities and forget about telic doing. If you try to gain the most meaning out of life from telic activities, you will be left unfulfilled. Conversely, if you invest only in atelic activities and spend no time on personal projects or goals, then you might feel aimless, wasting away your talents, potential, and ability to make a difference in the world. Instead of spending time with friends in order to complete a shared project […,] one pursues a common project in order to spend time with friends. Do not work only to solve this problem or discover that truth, as if the tasks you complete are all that matter; solve the problem or seek the truth in order to be at work. Changing our relationship to telic and atelic activities can have a profound impact on our lives. Atelic activities may not put an end to our suffering or even make joy outweigh suffering over course of our lifetime, but they can provide a counterargument to Schopenhauer’s pessimism, which appears unduly dour, given the realities and potentialities of human existence. Life contains a multiplicity of joys, unadulterated by the sort of craving and disappointment that characterises telic activities. Therefore, if we spend more time engaging in atelic activities, we will be able to gain more enduring satisfaction in life as a result. Previous Post Is Traditional Masculinity Always Harmful?